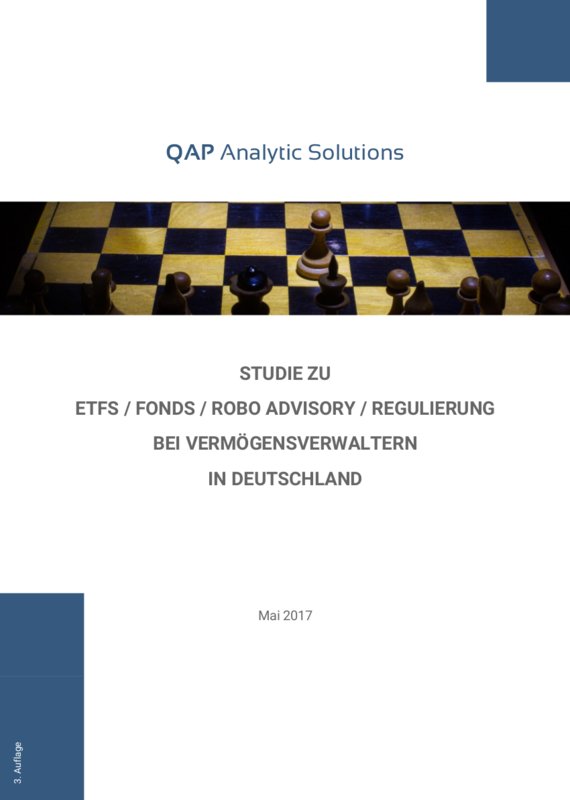 QAP Analytic Solutions GmbH is a Consultancy with Focus on Financial Market Topics. We combine Expertise in Asset Management with internal IT Capabilities. By the end of 2016, we surveyed German wealth managers on ETFs and mutual funds (UCITS). A major part of the conversations focused on challenges the wealth managers are facing on their sales side. Plans to reach clients and potentials over online channels and how Robo Advisory could be part of a solution, were among the topics covered. We found that wealth managers who invest with ETFs can be separated into two groups that differ by how they select and trade ETFs, among other things. For one group, the substitution of mutual funds by ETFs seems to have reached a level of saturation while the other group focuses on ETFs nearly exclusively. Collecting Data On All Investment Strategies. With Fund-Analytics.com we built a service to collect data and information on investment strategies implemented within funds, ETFs, managed accounts, and on those strategies that have only been simulated/backtested. All asset classes and all strategy and vehicle features are accepted. We utilize the data – together with our analytical tools – to offer relevant information to our buyside clients (wealth managers, private banks, family offices, endowments, and other institutionals).